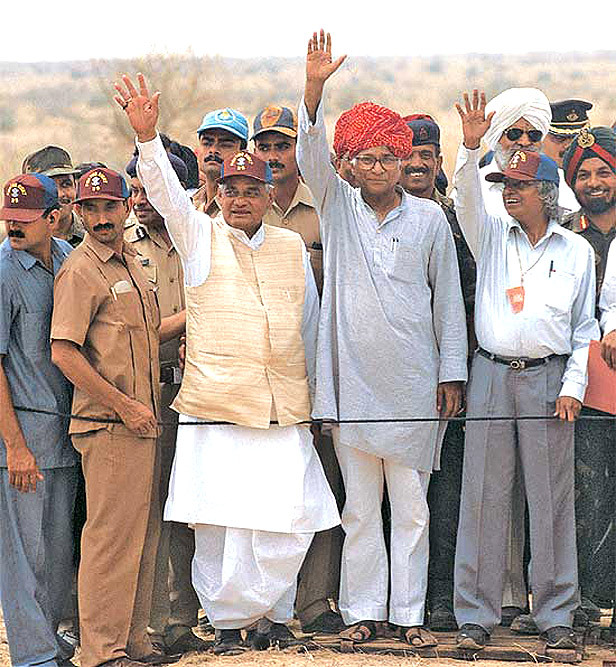 In this file photo, George Fernandes, L.K. 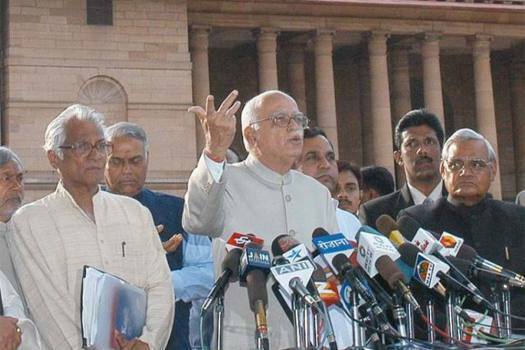 Advani, Vajpayee and other NDA alliance leaders in ’03. 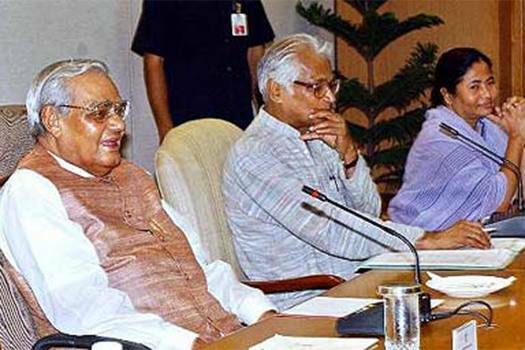 In this file photo, Vajpayee, centre, George Fernandes, L.K. 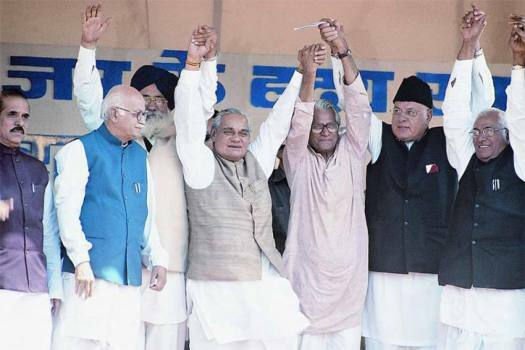 Advani and other NDA alliance leaders in ’03. 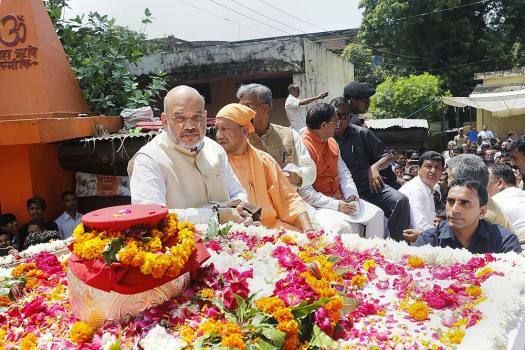 BJP President Amit Shah arrives to immerse the ashes of former prime minister Atal Bihari Vajpayee in the Ganga at Har ki Pauri, in Haridwar, Sunday, Aug 19, 2018. 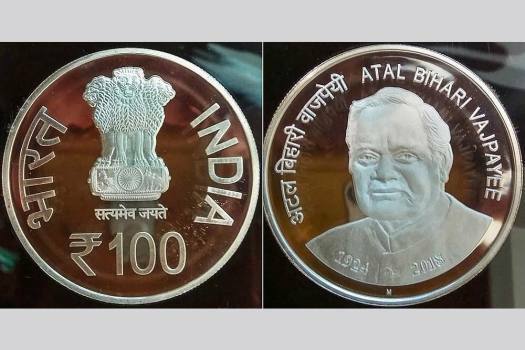 The Rs 100 commemorative coin which was released in the memory of the former prime minister Atal Bihari Vajpayee on the eve of his birth anniversary, in New Delhi. 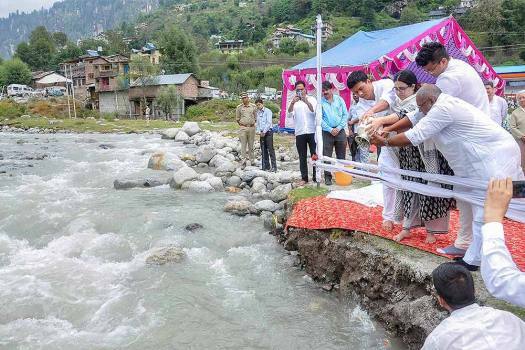 Former prime minister Atal Bihari Vajpayee's grand-daughter Niharika immerses his ashes into the Beas River near Manali. 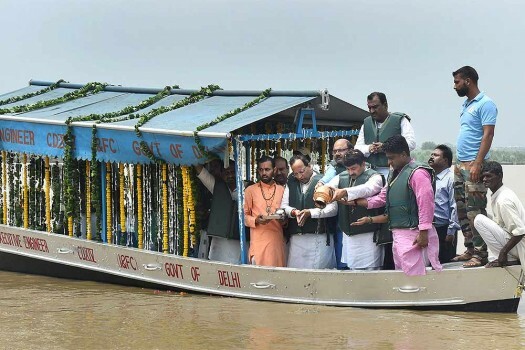 Delhi BJP President Manoj Tiwari with other leaders immerse the ashes of former prime minister Atal Bihar Vajpayee in the Yamuna River at Sonia Vihar, in East Delhi. 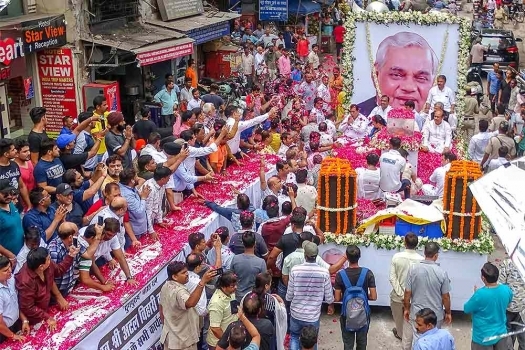 People pay tribute to former prime minister Atal Bihari Vajpayee during his 'Ashthi Kalash Yatra', at Paharganj in New Delhi. 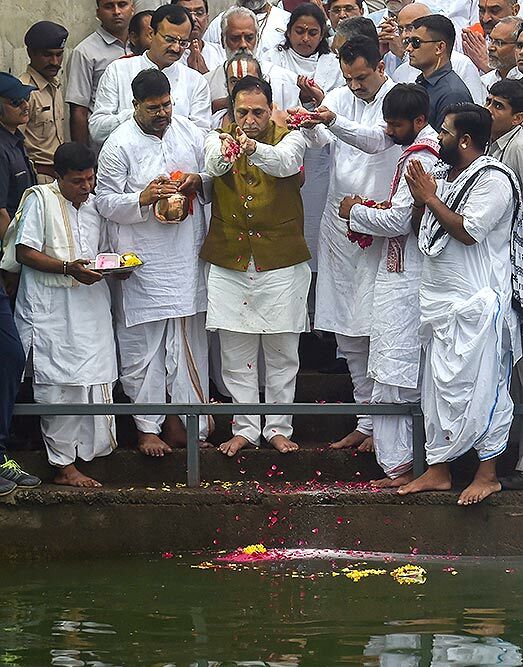 Gujarat Chief Minister Vijay Rupani with BJP leaders immerse the ashes of former prime minister Atal Bihari Vajpayee in Sabarmati River, in Ahmedabad. 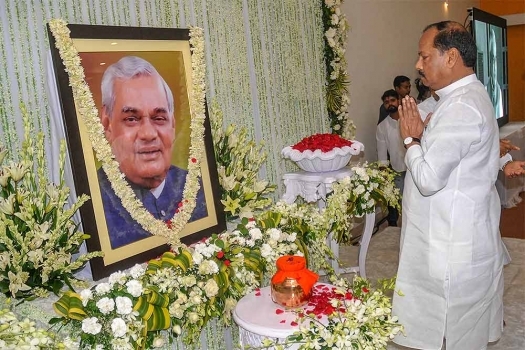 Jharkhand Chief Minister Raghubar Das pays floral tribute to former prime minister Atal Bihari Vajpayee in Ranchi. 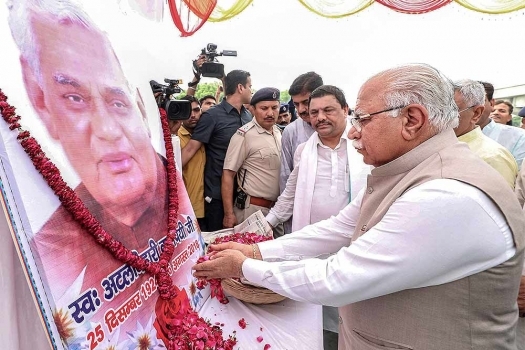 Haryana Chief Minister Manohar Lal pays floral tribute to former prime minister Atal Bihari Vajpayee as his ashes are taken for immersion at Bahadurgarh, in Jhajjar. 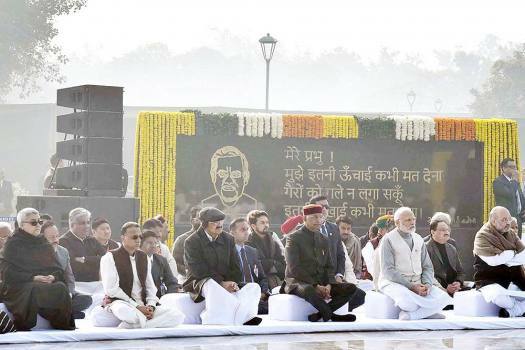 Sadaiv Atal, a memorial of former prime minister Atal Bihari Vajpayee, was dedicated to the nation Tuesday on his 94th birth anniversary. A defence source said that because of the technology used to build the bridge, the India Air Force will have three landing strips. 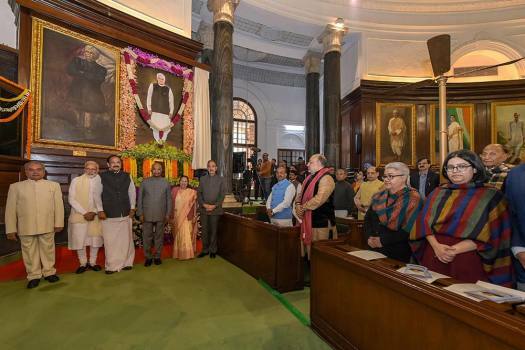 Prime Minister Modi said Vajpayee as a speaker was unparalleled. "When he spoke, the nation spoke... when he spoke the nation listened," he said. 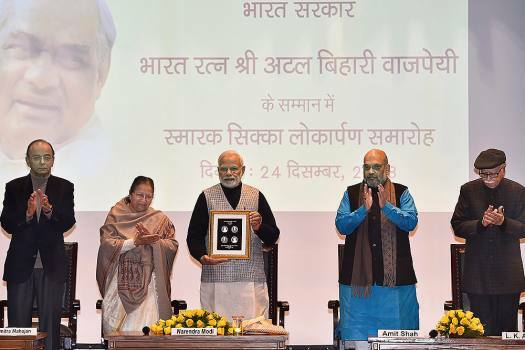 The coin, which is expected to be launched soon, will carry Vajpayee's name, birth and death years –1924 and 2018– inscribed in Devnagari as well as in English. Located near Sudarshan and Saifi peaks in Raktvan valley, the peaks have been named Atal-1, 2, 3 and 4. Adityanath also said it should be ensured that from December 15, no sewage canal, industrial or soild waste falls into the Ganga or any of its tributaries. Who Should Get A Bharat Ratna? 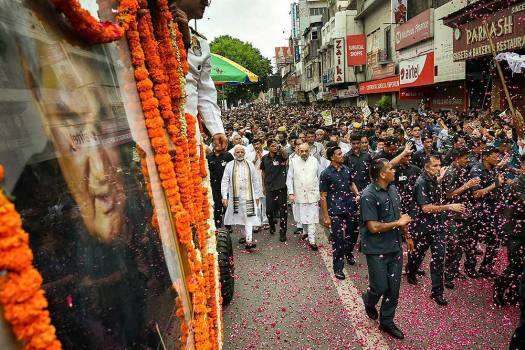 "but I must say that I was not all the time for this, that Modi has to go because of the killings, because in my view such things happen as a reaction, as happened in Delhi as a reaction to (Indira) Gandhi’s brutal killing. You can’t then prevent those things. Nobody can prevent those things. " Shekhar Gupta: Or you need to be an extraordinary leader like Patel to prevent it. Arun Shourie: Yes. But that is a very rare person. Shekhar Gupta: But that is what leadership is all about, to do the right thing at the right time. Arun Shourie: But there is another point to leadership. That is moral authority. You can’t run around behind every policeman and say, ‘No, no you are not checking the riot’. So you must have moral authority... Unless you have that, you cannot control police persons or anybody in such situations. 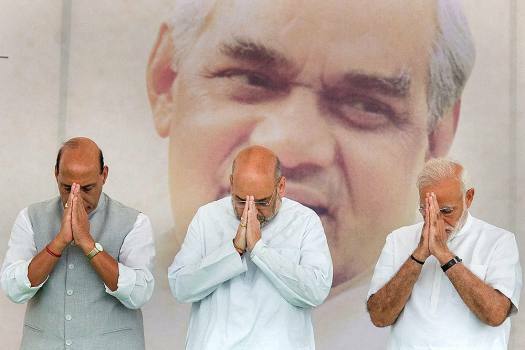 Shekhar Gupta: I do know that this always rankled with Vajpayee, that he was thwarted. Arun Shourie: Yes, no doubt about that. Shekhar Gupta: And I think he finally accepted with resignation that maybe this was too central to the party’s core, he was not able to defy it. Arun Shourie: Well, either it is the party’s core or it may be his understanding of society. In my view, it is not so much about party as this is about humans... After all, in Delhi it was not the party, it was Congressmen. That is how societies react. If the state abdicates its authority, the state will take its revenge. The mobs were coming like Chinese waves. They were coming in waves and the people who were affected were constantly ringing up and there was no adequate response. All this cannot just be explained by political pressure. At some point of time you have to stand up and say enough is enough. In this case the police officers? Entirely the police officers. The law authorises them to shoot, not the political leaders. You can order an inquiry later on, but that’s a different matter. The police officer has to realise he’s not just an officer but also a human being with a conscience. ...You know, the only time I’ve slept badly in my life was in Gujarat. Just hearing the descriptions of what was happening. Never before, never after. Some of the things that happened there were horrible. If you have to maintain law and order you have to be even-handed. You have to apply it every minute. What do you think of Mr Shourie's claim that "You can’t then prevent those things. Nobody can prevent those things."? It was Arun Shourie's turn to have a go at BJP, in particular its President Rajnath Singh and Mr Advani. One of the highlights -- a reconfirmation of what Mr Jaswant Singh had said about how Mr Vajpayee wanted Mr Modi to resign after Gujarat riots in 2002 and it was to be done during the BJP's national executive meet at Goa in April 2002 and how there was a "coup" against him. So asked Atal Behari Vajpayee. Or so says the man described as Advani's problem about the man they called BJP's mukhota, or mask. 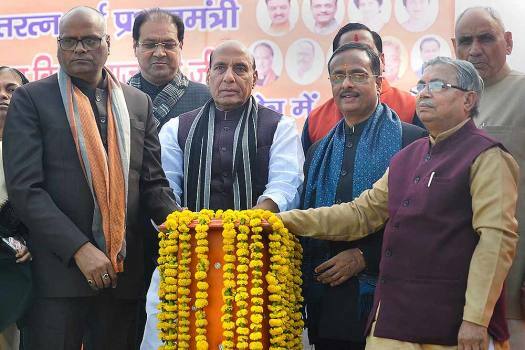 We are not sure whether Sri Rajnath Singh's description of it as "a geo-cultural concept" would have satisfied him. 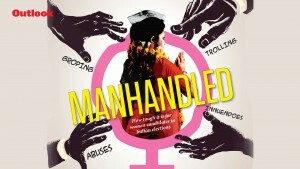 Interesting also that while many have commented on ABV's absence that proved expensive for the BJP this time around, another man, Pramod Mahajan, instrumental for their coming to power, had gone largely unremembered, until today, when Maneka Gandhi felt the need to compare his style of functioning with Arun Jaitley's. 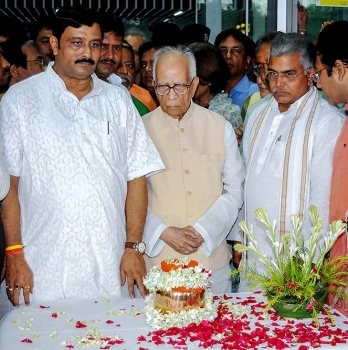 And then came Advani's Jinnah and Gandhi (Varun) moments... Read on: Hindu rate of BJP growth. 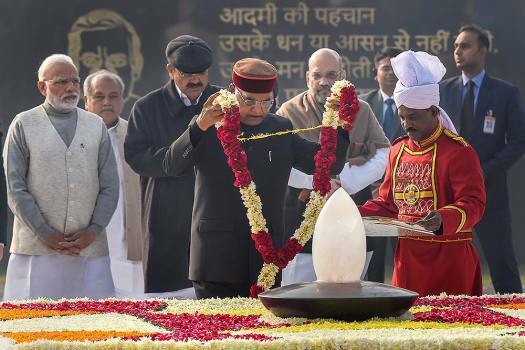 Do you agree that if Advani had dropped Varun Gandhi as a candidate from Pilbhit, just as the Congress dropped Tytler and Sajjan Kumar, it would, in one stroke, have brought the BJP "closer to the centre, given it wider acceptability, and enhanced [Advani's] stature in a manner that no website or ad-campaign, howsoever brilliant, could ever have done"?